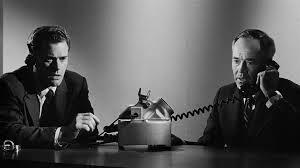 This Sidney Lumet cold war movie suffered from incredibly bad timing. 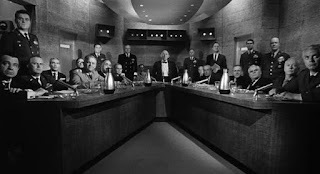 It was released in the same year as its comic counterpoint, Stanley Kubrick’s satiric masterpiece, Dr. Strangelove. The latter received all the praise and Oscar nominations, and Lumet’s film was virtually ignored. It shouldn’t be. 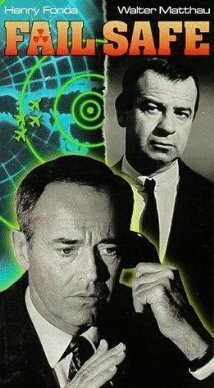 Despite the fact that the two motion pictures share the same basic plot, Fail-Safe focuses on a different target. 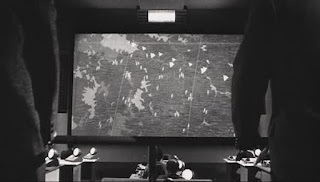 Kubrick, no fan of overreaching technology himself, centers his picture on the connection between war and the male preoccupation with sexual conquest. His General Ripper, a person, starts World War III. 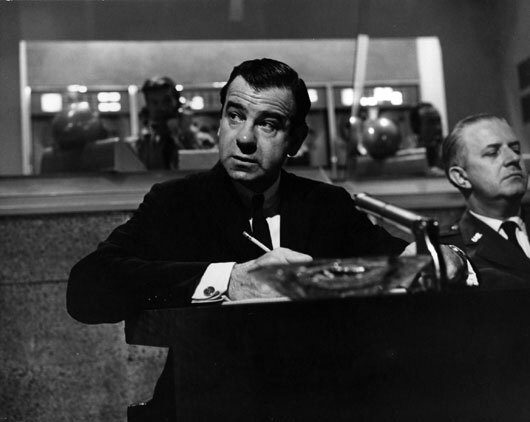 In Lumet’s movie, it is the over-dependence on advanced machinery that is the cause of nuclear devastation. The film opens with General Black (Dan O'Herlihy) in the middle of a recurring nightmare. He is in a stadium watching a bullfight. The bull is being stabbed by the matador. He cannot see who is the matador. When he wakes up he tells his wife that if he retires from the Air Force, he believes the nightmares will end. General Black goes to a Pentagon briefing where a consultant, Dr. Groeteschele (Walter Matthau) is giving a briefing. His character believes that losses are acceptable in a nuclear war if it is the American culture that survives instead of that of Russia, which is “our mortal enemy.” Black feels that there are no winners in a nuclear confrontation. He cautions against putting our defenses in the hands of lightning-fast machines that can make deadly errors which humans are powerless to correct in time. While this discussion is going on, General Bogan (Frank Overton) goes to pick up his second-in-command, Colonel Cascio (Fritz Weaver) on the way to The Strategic Air Command headquarters. Bogan finds Cascio at the basement apartment of the Colonel’s parents in a seedy location. The father is an alcoholic and Cascio is mortified that Bogan now knows of this humiliating secret. Jack Grady (Edward Binns), is a Colonel in the Air Force, who leads a squadron of Vindicator nuclear bombers near Anchorage, Alaska. Grady and his wingman are seen playing pool before performing their flight rotation. They discuss the younger pilots, who Grady thinks are more like machines than the pilots that were in the Second World War. This is a revealing scene, since it suggests that people are becoming dehumanized in an age where technology dominates civilization. Is the story here a foreboding of our present? Back at SAC, there is an impromptu civilian tour headed by a congressman. While he is being briefed, a UFO is sighted, and the defenses are placed on alert in the event of a Russian attack. It turns out that the UFO is a commercial aircraft off course. There is a statement by a civilian observer indicating that the more complex the machinery, the more it is prone to problems. What follows proves this point. A computer component malfunctions at the same time (as is later found out) the Russians initiated a new communications jamming device. While replacing the part, a signal is accidentally sent activating the fail-safe box in Grady’s plane. The crew can’t verify through verbal communication that the command is legitimate because of the Russian jamming. They must proceed as if a state of war exists, and they head toward their target, which is Moscow. The President (Henry Fonda) now becomes involved. He is accompanied by his Russian translator, Buck (Larry Hagman), and they descend to an underground bunker far below the White House. The President asks for suggestions. Groeteschele’s suggestion is to do nothing. He says that Russia will not retaliate because to do so would put an end to its plan of Communist World denomination. Bogan says that belief is nonsense, and that the Russians will counterattack with everything they have. Black and Groeteschele debate the idea of the first strike, and the latter says that the Nazis and Japanese were right to attack first to destroy their mortal enemies. He says he has learned from them. Black says “you learned so well, that there is no difference between you and what you want to kill.” Again, a timeless question is raised: Is it necessary to become as ruthless as the enemy, who you condemn for that ruthlessness, in order to stop that opponent? The decision is made to shoot down America’s own bombers to prevent a nuclear attack and subsequent armed exchange between the two countries. This action appears ironic, since the whole point of the military is to exact losses on an opponent. When the President gives the order, he says he expects the SAC personnel “to act as patriots.” At first this statement seems inappropriate. But, the President wants them to look at the big picture and understand that they must sacrifice their fellow servicemen to protect their country from the devastation of a nuclear holocaust. The American fighter pilots fall to their deaths in the ocean when they run out of fuel in the failed attempt to catch the bombers. It is then that the President contacts the Russian Premier. He offers American help to shoot down the bombers. It is at this point that trust becomes an issue. 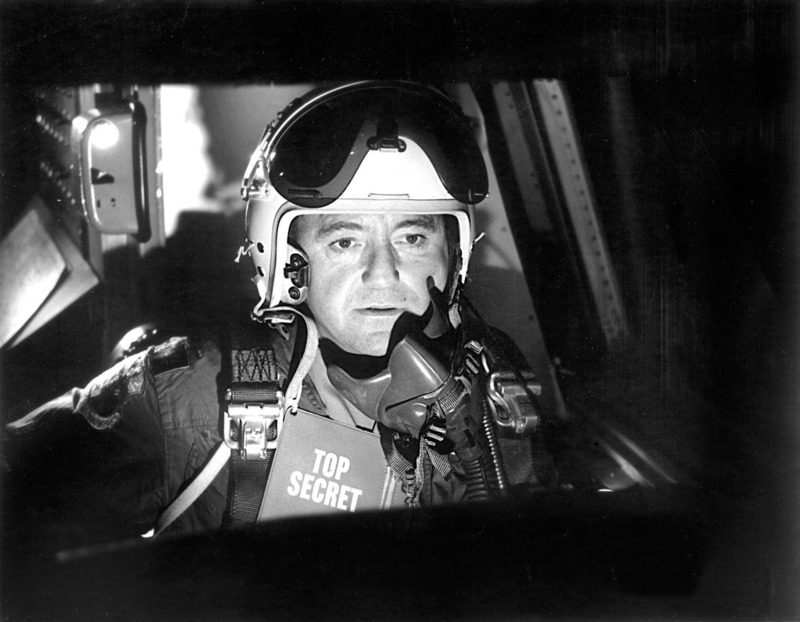 Cascio is unable to tell the Russians how to detonate the Vindicator air-to-air missiles inside the planes to stop the bombers. He attacks Bogan and says he is under the orders of the President to take command. The Colonel is taken away, saying how he was better than Bogan, who looked down on him when he saw him with “those people” – his parents. Cascio’s inferiority issues turn into paranoia. He thinks the Russians are really flying under the radar, ready to launch a surprise attack. The person who doesn’t want to admit to his own shortcomings wants to blame and attack others before he is scrutinized and found lacking in ability. In the end, Moscow is destroyed. The President realizes that a great sacrifice has to be made to avoid nuclear war. He orders his friend, General Black (his name indicates that he must take on this dark deed), to drop hydrogen bombs on New York City. The First Lady is there, and so is Black’s family. In the beginning of the film, Black tells his wife how much he needs his family, and now he must kill them. He tells the bomber’s crew that he alone will fly the plane and drop the bombs. He knows that he would not be able to endure living after doing this deed. He pulls out a poisoned needle and sticks himself, as we reenter his dream of the bullfight. He now realizes he is the matador, the killer, the military man, who must now take the place of the bull and be permanently “retired” to end the nightmare of death. Next week’s movie is Body Heat. Yes, it almost feels as if your heart is stopping as each of the people are zeroed in on, like targets in the site of a gun.